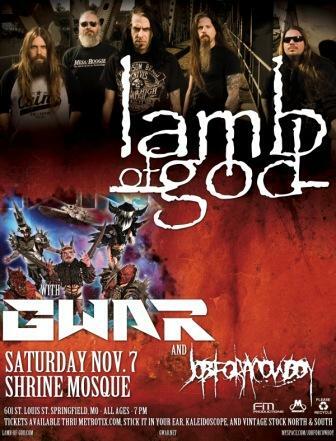 The winner, as we alluded to before, gets to play at The Shrine Mosque as the opening act for Lamb Of God, something no local act would normally be afforded the chance to do otherwise. You’ll get to decide which of these fives bands gets said chance, thanks to the ballot that comes with your paid entry to the show. The band with the most ballots cast for it at the end of the night wins. This entry was posted on September 30, 2009 at 3:24 pm and is filed under Looking Ahead, News, Shows. You can follow any responses to this entry through the RSS 2.0 feed. You can leave a response, or trackback from your own site. Curious how to get into these battle of the bands. Never given the opportunity. If you want to meet Lamb of God and have them sign CDs and stuff, come meet them that afternoon at Best Buy, back in the Musical Instrument section!! !